Coffee Blocks - Is this the way forward or is it just weird? Coffee Blocks – Is this the way forward or is it just weird? When there are so many new supplements on the maket today all claiming to be the best, should you really have to buy each one just to test it out? No! That would take forever! To speed up the process and assist you in making a proper purchase decision that you can feel hapy about, we provide you reviews on product’s that allow you access to the relevant information about natural herbs. Coffee Blocks is simply like putting butter into your coffee! Sounds mad? But this is supposed to help you lose weight and improve cholesterol. This product says it is a “reinvented” form of instant coffee which includes butter from grass fed cows combined with coconut oil to provide healthy fats and long-lasting energy which can help you burn fat. 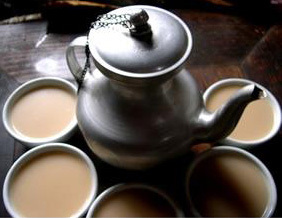 Yak butter tea is traditionally used in Tibet and the idea spurred from this method and was customised by a US company and aimed towards the America market. Using a similar recipe this drink targets to help provide prolonged energy and boost the metabolism. This unusual supplement works to accomplish many things such as release liver bile in order to break down fats in the butter quicker and give you an added boost of energy. Also, there are claims that grass fed butter contains high levels of Vitamin A, Vitamin K2, CLA, Omega 3 Fatty Acids, and Butyrate, as well as the ability to absorb calcium. This product uses a simple combination of just five main ingredients: Unsalted Butter from ‘Kerry Gold’ Grass Fed Cows , Organic Extra Virgin Coconut Oil, Egg Yolks from Free Range Chickens, Organic Vanilla, and Coffee. 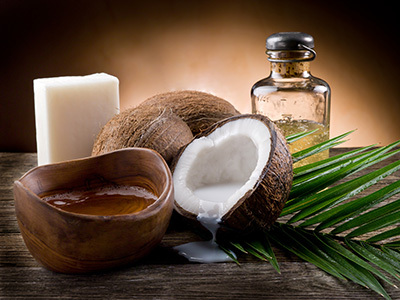 Coconut oil is known to vastly improve health and is the second key ingredient contained within this formula. You will find within this substance MCTs (Medium Chain Triglycerides) which will burn extra calories and reduce hunger. This product can be useful any time of day, but are mainly intended as a breakfast replacement but it is said that you can eat a healthy breakfast following the consumption of your coffee if you are still hungry. Containing no sugar, carbs, or gluten this is said to be a healthier alternative to regular instant coffee. There are a number of packs available to buy online ranging from the minimum of 8 blocks for $23.95 to 64 doe $191.60. There is a 30-day refund policy available should you leave the product untouched. Unfortunately, there is little-to-no clinical evidence showing that buttered coffee can help you lose weight. The to product on the market of today which has backed up evidence of clinically trials for having the best formula to help you achieve this kind of goal is Flat Belly for $19.95. This amazing supplement avoids using stimulants and instead contains natural herbs which are 100% safe to use.